A student of Sir Syed Hall (North) block also backed Kidwai and refuted reports that vegetarian food was being cooked in oil used to prepare non-vegetarian dishes. 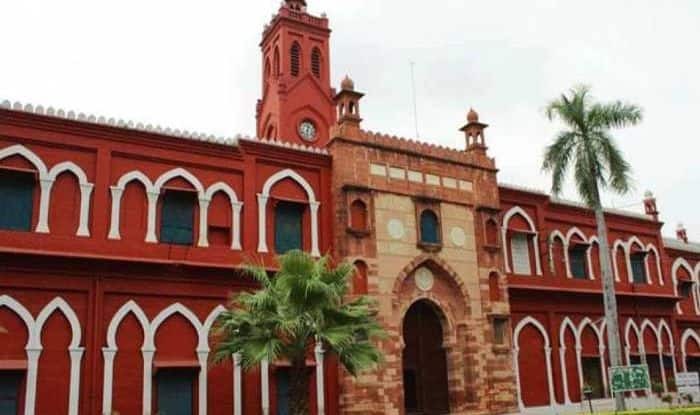 New Delhi: The Aligarh Muslim University (AMU) denied allegations that vegetarian food was being cooked in oil used to make non-vegetarian dishes. Notably, a controversy was erupted on Sunday after a group of vegetarian students in the varsity alleged that they were served food cooked in oil used to prepare non-vegetarian dishes. In a letter to the vice chancellor, students at the Sir Syed Hall (North) alleged that they were served vegetarian food cooked in the same oil in which non-vegetarian meals had been made. They demanded action against the provost for negligence. On Sunday, Bhartiya Yuva Morcha’s city unit chief Nikhil Maheshwari issued a statement alleging that the incident was a “deliberate ploy” to hurt the sentiments of Hindus. A written complaint was also filed at the Banna Devi police station regarding the same. AMU spokesman Shafey Kidwai said an inquiry conducted by the provost revealed that the allegation was “completely baseless”. He said respect for religious sentiments of all students was the hallmark of the university’s secular traditions from the time of its foundation. Kidwai said four members of the cooking staff had confirmed to the university that “fresh cooking oil released by the kitchen stock was used for cooking the entire vegetarian meal”. A student of Sir Syed Hall (North) block also backed Kidwai and refuted reports that vegetarian food was being cooked in oil used to prepare non-vegetarian dishes. He claimed that the oil was immediately changed after a group of students lodged a complaint with the cook.